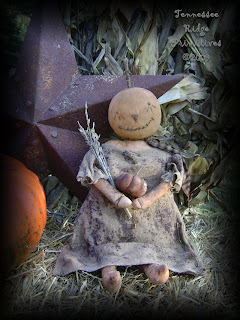 Harvest Pumpkin Girl Doll....Listed on eBay! She is listed on eBay now....so have a look if you have time! 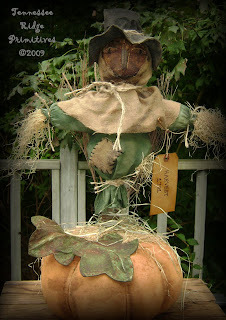 Harvest Scarecrow Doll Just Listed on eBay! You can click on the picture to go to the auction to see more pics! 7 Day auction!! Hope you all have a wonderful day!!! Until next time......have a great day!!! 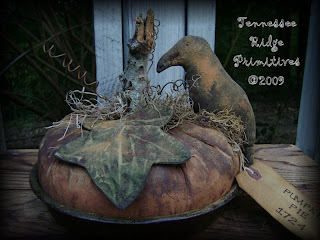 Pumpkin Crow Pie listed on eBay! Here is a pumpkin crow pie I finished tonight :)......I'll list more tomorrow!!! 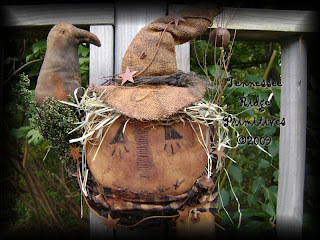 New e-pattern finished for Scarecrow Head Door Hanger! 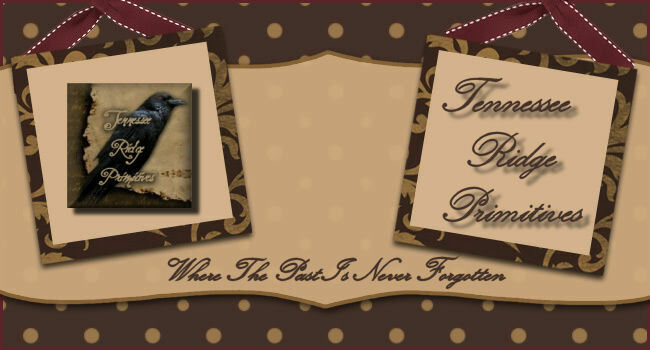 You can get an instant download for it by clicking on it below and ordering through patternmart.com! You can also find it on my website!! Frosted Pumpkin Patch Listed on eBay!! Hope you like them...listed them on eBay tonight!! 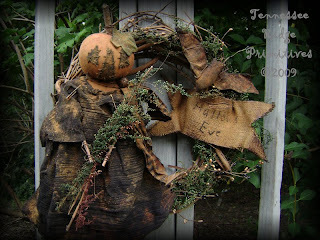 Scarecrow Head Door hanger wreath just listed on eBay! 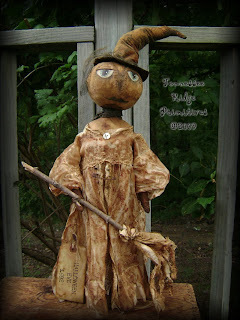 Witch doll listed on eBay! NEW e-pattern sale..........Get them while you can!!!! AWESOME low price!!! Then send me an email at airxson@peoplestel.net. Have a great Labor Day weekend!!!!!! 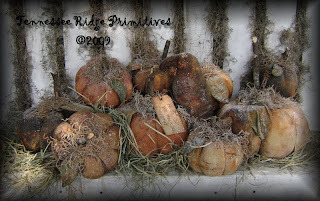 This site has made such an impact on me & the way I feel! It is TOTALLY AMAZING to GIVE!!! !